O Programa de Pós-graduação em Enfermagem convida a todos para participarem do Workshop : Ethical issues in practice and research with children and adolescents, ministrado pelo Prof Dr Franco Carnevale – McGill University-Canadá, no dia 22 de fevereiro de 2019, no Anfiteatro Mariana Fernandes de Souza, da Escola Paulista de Enfermagem da Unifesp, das 9h00 às 12h30, apoio CAPES. A inscrição para participar do Workshop é gratuita e será realizada por e-mail, secretariapg.epe@gmail.com, durante o período de 01 a 14 de fevereiro de 2019. Franco A. Carnevale is a nurse, psychologist and clinical ethicist. His primary research interests include a wide range of concerns in pediatric ethics. 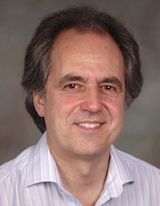 Dr. Carnevale is the founder and principal investigator for VOICE (i.e., Views On Interdisciplinary Childhood Ethics – https://mcgill.ca/voice/); a McGill-based international initiative to advance knowledge and practices relating to ethical concerns in childhood. Dr. Carnevale’s current academic appointments include (all at McGill University): Full Professor, Ingram School of Nursing; Associate Member, Faculty of Medicine (Pediatrics); Affiliate Member, Biomedical Ethics Unit. His clinical appointments include: Co-Chair of the Pediatric Ethics Committee, Nursing Advisor, and Associate Member of Pediatric Critical Care, all at the Montreal Children’s Hospital-McGill University Health Centre; Clinical Ethicist for Child, Adolescent, and Family Services and Associate Director, Research in Nursing, Nursing Research Centre at the Douglas Mental Health University Institute; and Clinical Ethics Consultant at Le Phare, Enfants et Familles (pediatric hospice and respite care).